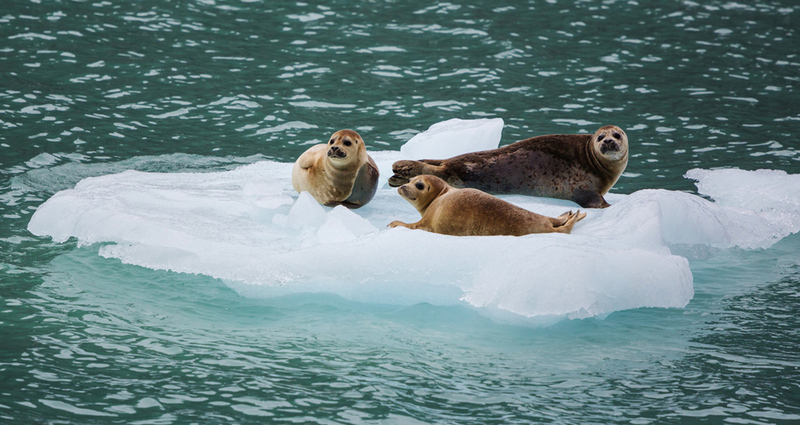 Alaska has six species of seal; the two most common being the Harbor and the Spotted seal. Each of these marine mammals can reach a weight of over 200 pounds by adulthood. Additionally, depending upon the season, Harbor seals are typically located in rivers, lakes, and near beaches; whereas the Spotted seal is mostly found around glacial and sea ice. 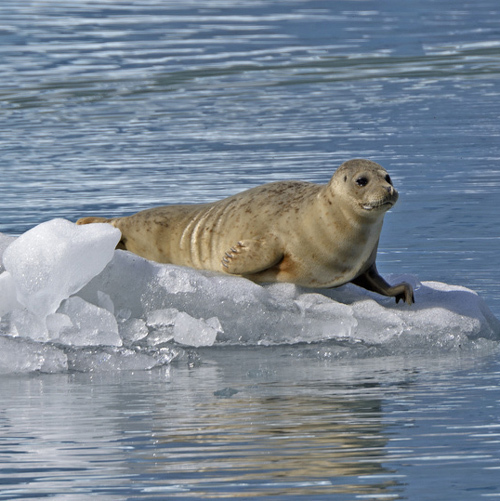 Furthermore, it is important to note that the Harbor seal species is currently listed as an Alaskan “Species of Special Concern,” due to the drastic increase of pollution and hunters, making their need for rescue increasingly vital for their survival. The two species of otter that are native to Alaska are the River and the Northern Sea otter; the Northern Sea species being drastically larger in size. 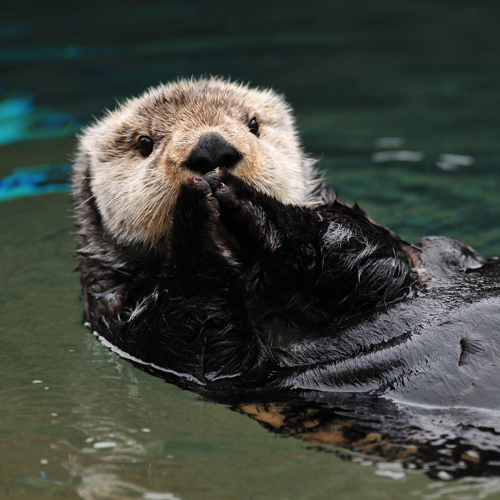 These marine mammals range in color from brown to black, and their hind feet are webbed to aid with swimming. Unfortunately, due to the growing fur trade, fisherman interaction, disease, pollution, and the oil spill, the population of these Alaskan otters is decreasing rapidly. In fact, the Northern Sea otter is currently threatened under the Endangered Species Act (ESA), making their need for rescue highly critical. 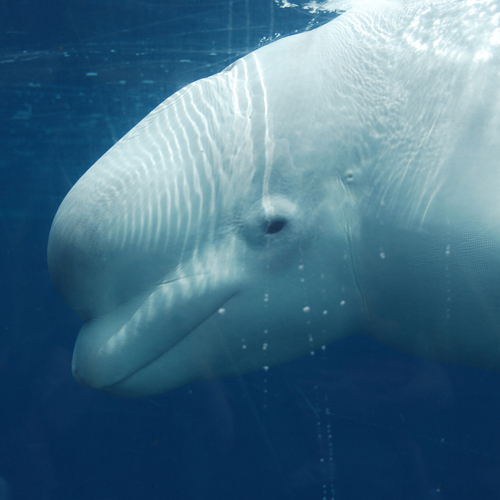 There are fourteen different species of whale that are native to Alaska, but the main one in need of rescue is the Beluga whale. These marine mammals are known for their stark white color and the bulbous, melon structures on their forehead, used for echolocation and communication. There are five different stocks of Beluga whales throughout Alaska; the Cook Inlet Belugas, Beaufort Sea Belugas, Bristol Bay Belugas, Eastern Bering Sea Belugas, and the Eastern Chukchi Sea Belugas. Additionally, the Cook Inlet population has been placed under the Endangered Species Act (ESA), due to the on slot of hunters, pollution, fisheries, and climate change, making their rescue more necessary than ever. What do I do if I find a baby seal, baby otter or baby whale? If you come across a baby seal, otter, or whale, it is critical to not touch the animal. Additionally, it should be noted that Harbor seals often leave their pups ashore while looking for food. On the other hand, if you do not see the mother after an extended amount of time, or if the baby has an injury or obvious affliction, please contact Alaska Wildlife Rescue, immediately, for further assistance. Is the baby on solid land or swimming? Any obvious injuries or blood? What do I do if I find an injured seal, otter or whale? If you come across an injured seal, otter, or whale, it is important to note that you should not touch the animal. Do not feed, pour water on, or try to return it back to the water. Observe and take note of the animal’s’ injuries, while remaining distant, and contact Alaska Wildlife Rescue, immediately, for further assistance. Is the animal on solid land or swimming? Is there any other animals nearby?